Antique furniture is facing a revival, although for some it never went away. A new group of younger people now recognise the potential in antique and second-hand furniture, and it is very much ‘on trend’ once again. Part of the reason for this rise in popularity is down to a much more environmentally aware group of buyers. People these days are far more in tune with the impact of their carbon footprint on our planet. There is an active move away from the disposable society we have become. It is very ‘en vogue’ to mix and match antique furniture styles with modern designs and fabrics. Many young interior designers dedicate their sites to showing you how to achieve this fresh new look. Sites such as thespruce.com and laurelbinteriors.com can offer tips and ideas on how to achieve the perfect balance. Pinterest is also a good source of inspiration. Antiques don’t have to be expensive; there are many places you can shop to grab yourself a bargain, or even that statement piece that you really want to invest in. The joy is in the hunt for those pieces that speak to you and the vision of the look you wish to create. So here are the tips of where to buy and how not to get sold a fake. Many antique stores now offer an online service for you to browse the merchandise online at your leisure. You can order for home delivery, and some may even allow you to reserve in-store so that you can go and look at the piece before buying. If you are new to antique hunting, it is a good place to start as reputable shops will only sell genuine antiques. The Association of Art and Antique dealers https://lapada.org/ is a handy resource to familiarise yourself with reputable dealers. Of course, nothing quite beats the experience of going to an antique shop and physically experiencing the sight, smell and feel of the hidden treasures. You can find antique shops in most towns and even some villages. LAPADA is a good place to search for shops near you. Pimlico Road, near Sloane Square, in London has around 20 glorious antique shops each specialising in a different era. 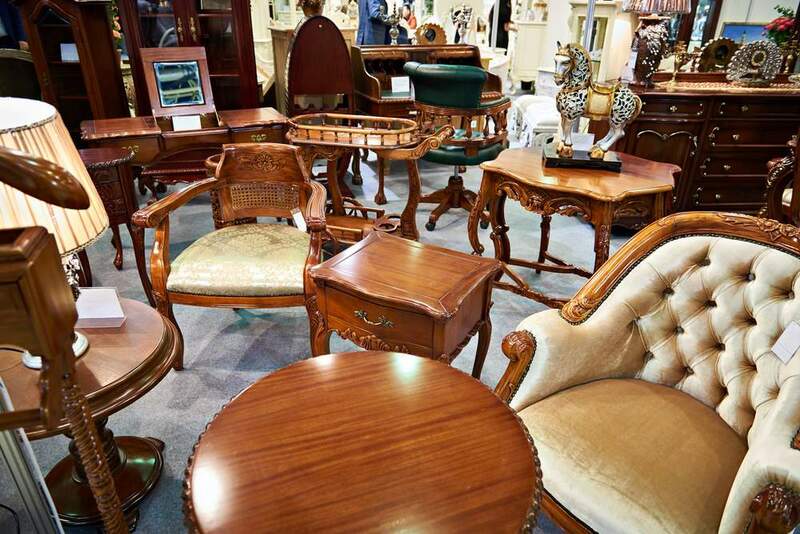 Antique furniture and vintage fairs are run throughout the UK all year round and are a great way to spend a day. There is always an abundance of stuff to choose from, and with a good haggle, you can grab yourself a real bargain. 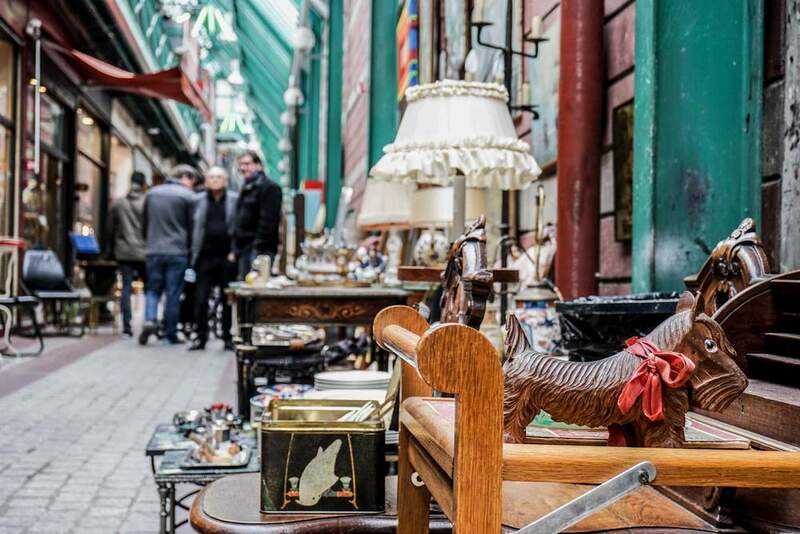 From Bermondsey Antique Market to Peterborough Festival of Antiques, there are antique fairs to suit everyone. Many smaller ones these days are advertised on social media if you want to just dip your toe in and have a look. Online auction sites such as eBay, eBid and Bonanza are becoming increasingly popular as they enable buyers and sellers to reach a market that they otherwise would not be able to. Be warned though, only use reputable online auction sites as it has been known for disreputable sellers to falsely bid on their own merchandise in order to raise prices. Plus you get buyer protection from sites such as eBay. Live auctions are a thrilling experience but be warned; the buzz is contagious. The tradition of these auction houses make them a unique experience, and nothing quite matches the thrill of a winning bid that has you walking away with your prize. With auction houses, you have the opportunity to inspect and browse the objects before the actual auction. Ask any questions you have regarding the condition or heritage of the object. The UK’s most famous auction houses are Sotheby’s and Christie’s, but there are others throughout the country that you may find a lower starting bid through. It is advisable to do a little research on online bidding before participating in a live online auction. However, they are becoming increasingly popular, so much so that even Christie’s now host their own. Sites such as liveauctioneers.com and invaluable.com are specialist sites set up specifically to cater to online auctions. A lot of online marketplaces now have an antique and collectables section, but be warned, only buy from reputable sites such as rubylane.com/antiques and etsy.com. The good news is that this flood to the marketplace means that prices are becoming increasingly more competitive and you can often find a good little bargain. Although different, these two are similar in so far as it is usually an auction taking place at either an auction house or the family home. Collection Sales will ordinarily be an individual or family auctioning off their own possessions. Whereas a house clearance sales can be the family or a professional house clearance company. If you know what you are looking for, flea markets and car boot sales can be a great source to find that hidden gem. Be warned though, a lot of traders will swoop in on these places, so get there early. The most famous flea market is probably Portobello Road in London, but there are many more around the country. The trouble with flea market’s these days is that there tends to be a lot of imported goods. However, there are still treasures to be found. The great thing about car boot sales is that there are new vendors each week selling different things. Well, these are just a veritable delight for moochers. Take a look around and see what jumps out at you. You never know what you may find. Remember, it doesn’t have to have monetary value to be valuable to you. Restoring a piece of antique furniture, reclaiming it from the past and giving it a new future is a very satisfying thing to do. In a world of flat-pack furniture, be bold, be individual and go on a hunt for that special piece that breathes life into your home. If you need any help with a furniture restoration project, don’t hesitate to talk to our specialists. We are here to help and can offer a free assessment or quote for any work you need completing.